On a quiet, narrow one-way street next to a park a 59 year old woman was killed yesterday by a hit and run driver as she rode her bicycle. The crash occurred at 5:30 p.m., according to DNAInfo, well before dark on a sunny late Spring day along the 2900 block of South Poplar Avenue in Chicago's Bridgeport neighborhood. The driver left the scene, fleeing eastbound, according to DNA Info. It has not been reported whether anyone witnessed the crash. However, given the time of day, location of the crash next to a park and the beautiful weather it is possible that someone saw what happened. The name of the bicyclist has not been reported. On a pleasant April morning last year a 59 year old Chicago accountant was riding his bicycle to his accounting job. He was obeying the law and wore a helmet. He was a very experienced city cyclist, typically spending thousands of miles each year in the saddle. Those factors did not prevent one foolish driver from plowing into him causing very serious injuries. At around 10:20 a.m. on April 14, 2013, the bicyclist was riding southbound in a marked bicycle lane on Broadway Street in Chicago with a solid green traffic indication. At the same time, the 24 year old driver of a 2012 Dodge Charger, travelling northbound on Broadway attempted a left turn onto westbound Grace crashing into our client. The impact was heavy. His heavy steel bicycle was destroyed. The man suffered fractures to both lower bones of his left leg, a torn left meniscus, a fractured left hand and a broken nose. He underwent several surgeries to treat his injuries and spent months in a wheelchair. The driver of a vehicle intending to turn to the left within an intersection or into an alley, private road, or driveway shall yield the right‑of‑way to any vehicle approaching from the opposite direction which is so close as to constitute an immediate hazard, but said driver, having so yielded may proceed at such time as a safe interval occurs. Months after the crash, we accompanied the cyclist to traffic court, making sure that he was prepared to testify against the driver. His presence at the hearing compelled the driver to plead guilty to the charges against him. That admission of guilt could have been used against the driver if the civil personal injury case went to trial. We later secured a settlement from the driver's insurance company for the full amount of his coverage, $100,000, plus $1,600 for the damage to his bicycle. Thankfully, our client's own auto insurance policy had a high underinsured motorist limit. Though he was not driving at the time, we were able to secure a $390,000 settlement from our client's auto insurer bringing the total settlement to over $490,000. Our client has made a good recovery. His left knee is still periodically painful. His comfortable walking speed is about half of what it was prior to the crash. He also has yet to achieve full flexibility of his left hand. However, he is back on his bicycle, and remains physically active. This is not luck. Rather, his recovery is attributable to his own good health, his internal fortitude and excellent healthcare. In this case my client, a bicyclist, was traveling southbound on Clark. As he approached the intersection of Clark and Deming a pickup truck over took him and made a quick right turn onto Deming, crossing the path of the cyclist. The cyclist was unable to avoid the truck and struck the passenger side. My client suffered a fractured vertebra. He had no health insurance. As with almost every case we handle, we gave the driver's insurance the opportunity to settle without the wasted time and expense of litigation. American Access denied the claim stating, "Our insured was stopped on Clark with his right turn signal activated waiting to make a right turn onto Deming. While our insured was stopped, your client drove up to our vehicle at a high rate of speed and struck the passenger side of our vehicle with the front end of his bicycle. It was your client's negligence that caused this loss to occur." Logically, it makes no sense that a bicyclist would spontaneously run into the side of a truck. It also makes no sense that the truck would be stopped waiting to make a turn at such an angle that a bicyclist would be able to run into the side of the truck. Nevertheless, American Access denied all liability and refused to pay anything. 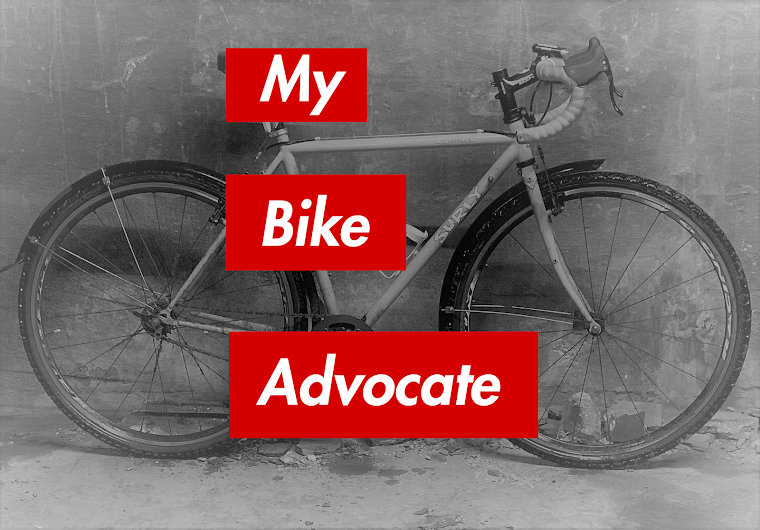 We were forced to file suit to obtain a fair result for the bicyclist. Universal Casualty Company Tries to Deny a Left Cross. Years ago a girl came to me after being left-crossed by a driver at Damen and Elston. Her injuries were severe, and she had no health insurance to pay for her medical. The case seemed to be straight forward. There was an independent witness who was waiting at a red on southbound Elston. He saw the whole thing. My client, the bicyclist, was southbound on Damen. The bicyclist intended to proceed straight though the intersection of Damen and Elston to proceed southbound on Damen. The hitter, northbound on Damen, entered the intersection and made a quick left turn to Northbound Elston. In so doing he struck my client causing severe injuries and destroying the bicycle. The driver was issued a ticket for negligent driving. At the traffic court hearing he plead guilty to the ticket and essentially admitted fault. We gave the driver's insurance company, Universal Casualty Company, every opportunity to do the right thing and pay their policy limits (which were woefully inadequate to satisfy my client's claim) to avoid the unnecessary burden of filing suit. I thought the case would be easy to resolve since they basically had no defense and their client had admitted fault. Much to my surprise, Universal Casualty Company refused to tender their policy. As to the issue of fault, Universal Casualty Company stated, "...a bicyclist has a greater duty to maintain a proper lookout and retain control of their bicycle as they have a greater risk of harm." I'm not kidding folks, I couldn't make this stuff up if I tried. We were forced to file suit. In the end we obtained a result that was well in excess of Universal Casualty Company's policy limits.